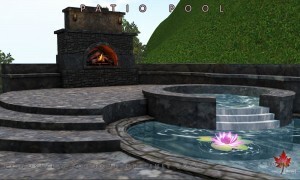 We’re excited to release our newest landscaping solution for those hot summer days – our new Patio Pool, available in brown or gray brick, exclusively for FaMESHed this July! 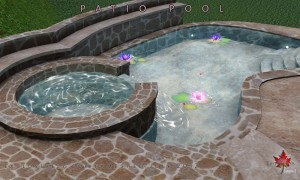 Enjoy an all-in-one pool and patio solution with instant easy setup and built-in animations for up to six avatars. 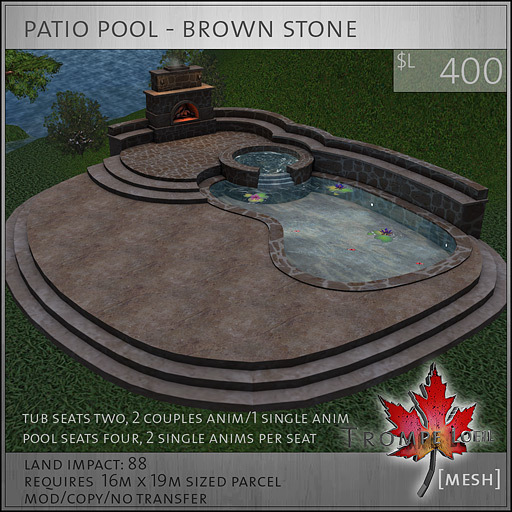 The smaller tub seats two, with 1 single animation or 2 couples animations, and the larger koi pool (with swimming wiggling fish!) 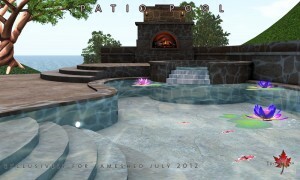 allows up to four avatars to sit and dangle their feet in the cooling water – 2 animated poses per seat. 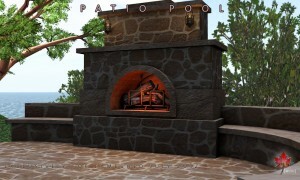 The built-in fireplace features a roaring fire and a elevated floor to make defining areas easy. Lots of space to add your own patio furniture, rugs, pillows, or whatever you desire! Pick the finish that’s right for you – gray or brown brick – they’re both fully baked and look fantastic regardless of environment or hardware settings. 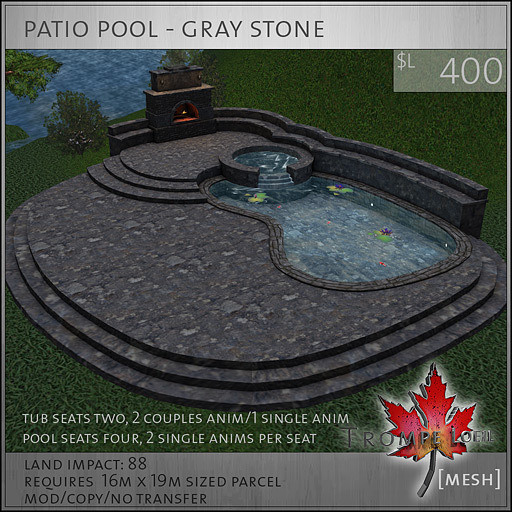 The Patio Pool is only available at FaMESHed for the month of July, so swing in and check out the display version for yourself!